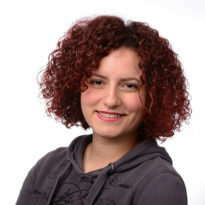 Sara joined the Grantham Research Institute on Climate Change and the Environment in October 2018 as a research officer (post-doc). She is working on Zurich Flood Resilience Alliance (ZFRA) project and her focus is on flood risk governance and resilience decision-making in the context of OECD urban areas. She is interested in the role of different stakeholders and institutions in the process of climate change adaptation. Prior to joining LSE, Sara completed her PhD in Urban and Regional Planning at ITC, University of Twente, Netherlands. In her thesis, she developed participatory policy analysis methods for climate change adaptation and applied them in the case of water scarcity in Iran. Sara also holds a Master of Urbanism from the University of Delft, Netherlands and a BS in Architecture from University of Guilan in Iran.